My human pet wants to speak. It has said if I don’t let it speak it will scratch my sparkle throne, so I have given in. Do not blame me if this doesn’t make any sense, remember this is the human speaking, not I the majestic, noble, sensible, fabulous, glittery, pretty, deadly Unicorn! Right, I am on limited screen time here, the Unicorn has already put the stopwatch on, so I’ll make this as brief as possible. A minor miracle of sorts has happened today, I never anticipated agreeing with Katie Hopkins when I got up this morning. Her article today, which also happens to be in the ‘newspaper’ I love to hate so a double shocker, is on the whole right. 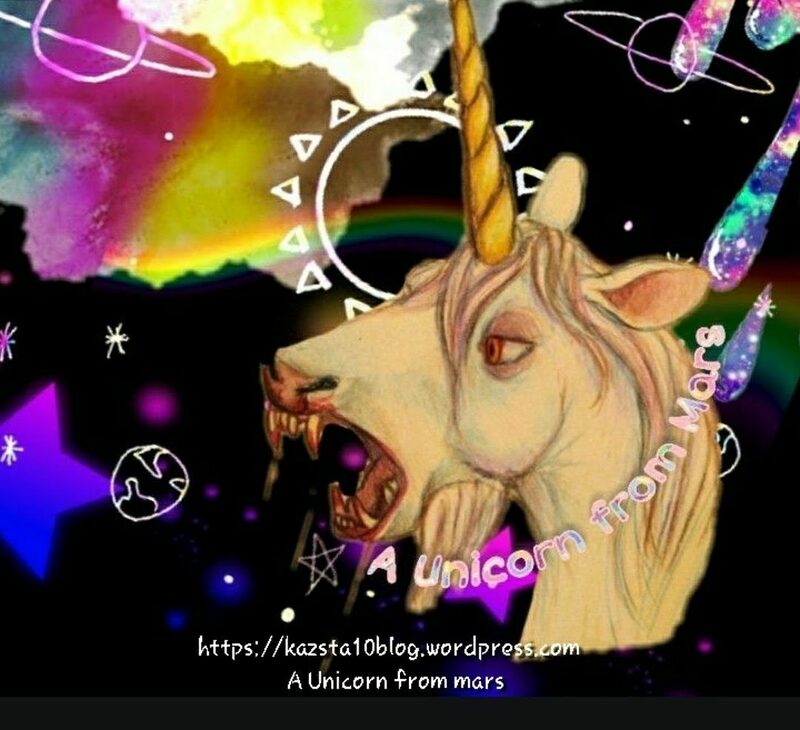 I was pleasantly surprised reading it, it is not entirely without fault, but as the Unicorn is shouting at me after reading my mind again – we are human, as such, we are never ever going to agree with everything from another human, I hate it when that Unicorn is right!! It is disgusting that at present our troops are only protecting the ones who caused the entire situation we are facing here in Britain today. Love me, loathe Katie love Katie loathe me, whichever side of the fence you appear to fall, you cannot deny the Government caused this in a huge way. I suspect she & I will have differing opinions on why they are to blame, speaking for myself if the Government will insist on going to illegal wars, & destroying entire nations in an extremely violent fight against extremist violence, then our government are going to end up having to shoulder the blame. The current Prime Minister, & former home secretary also needs to explain when she keeps bleating on about how strong & stable she & her party are, why under the self-same party so many cuts have been made to the police, armed forces, in fact, it would be quicker to list where there haven’t been cuts!! The same services who are unable to operate properly because of those cuts, so are unable to protect us in many different ways. She also needs to explain how & why the criminal behind the despicable act of violence in Manchester was not picked up & slung in a cell long ago, especially when Muslims from the area who knew him & his family contacted authorities with their concerns about his idealistic views on extremism. We ask Muslims to do exactly what they have done, & they were ignored. Once again it is children who suffer because authorities don’t listen. Yes to an extent Katey is right that many ordinary people are scared. Normal people from all sides, Muslims are fearful of retribution, some non-Muslims worry about innocent Muslims becoming targets. Those who fall into the tick box of White British people, Black British people, Asian British people, White non -British people……..jeez wouldn’t 2 boxes, human & not human be simpler? They are all scared to differing degrees, everyone handles things differently so some people are less scared, others more so. But yes, absolutely the normal everyday person in Britain is scared of what next? In fairness to Katey, because I am one of the first to her page when she goes too far, I will be one of the first to praise her too, because this is one of the least inflammatory articles I’ve ever seen by her, I applaud her for not making the usual comments directing us to hate certain members of our general population. It is to her credit she hasn’t done that. It is important she didn’t go down that route because let us all not overlook the fact that the cowardly criminal who bombed that building jammed full of innocent people, most of who were children, were children & adults from all sections of our society. He didn’t go in & usher out anyone who may have been of Lebanese decent themselves before pressing the detonator. The similarities between the Manchester bomb, & the bombs our politicians have dropped on other Countries, are perhaps the ashes from where ordinary people need to start rising from, & working together from. A recognition by ordinary people that extremists are the issue, extremists on every side, including extremist governments such as our own. Ordinary people from the playground up, spanning across each & every section of our society are afraid. Afraid of each other because the media know how to manipulate the masses, they may not use bombs, but the physiological terror they induce, the way in which they word things, & draw your attention to what they want to draw it to is just as harmful. It will only ever manage to cause further division between ordinary people. Meanwhile, May, Hunt, & the rest are going on as normal, just a very well protected normal. While we are all left to fend for ourselves. Luckily we are not quite the broken society certain mainstream media outlets, & some celebrities would have us believe, so while fearful we are managing to live as normal as is possible in the situation we find ourselves in. Just substantially less well protected than the aforementioned politicians. I know this is a novel idea, but a government who cares about the people it serves would not be allowing themselves to be the ones protected when they already are safer than Joe Public. I know for damn sure if I or many people I know were in the role of prime minister, we would be sending the armed forces away from our front doors, on to the streets to patrol, check bags at crowded places, make sure kids were able to get to & from school safely, & so on. The very people who are labelled pacifists, spineless, snowflakes, we would put children’s lives ahead of our own, every child’s life. The Army being out on the streets would not totally eliminate any threat completely granted, but someone would have far less chance than at present to carry out any form of attack. I have read that the Army are going to be coming into other areas, whether they do or not remains to be seen, & how far North that will be is also as yet a mystery. The parts I don’t wholeheartedly agree with are that we are not living as normally as possible because we are. Being a nation of Great Britons on the whole, we know we actually have very little choice but to carry on. As ever the vast majority are pulling together, are being extra vigilant & so on. I think it is a bit naive to think we could function normally, as is thinking that Brexit, tighter immigration laws, & so on could have prevented this. What could have prevented it was as I said earlier authorities taking action. I do not agree with most of the ‘right side’ of the populous, but then, in all honesty, I think there are fewer people who far left, or far right among our population, & far more people who are actually just lost, & have absolutely no clear guidance or help from those supposedly in charge on how to change things. When it comes to human rights for instance, yes absolutely we shouldn’t be hounded by the authorities, but things have become so skewed that nobody will do anything most of the time for fear of offending someone. Whether that be someone you personally see as a leftie, rightie, wrongy, or a whatevery, there has to be some line drawn in the sand, where we say as a nation united enough. Police absolutely do need more power again, no not abuse of power, but the power to be able to without fear of recriminations or cries of discrimination, go & detain someone if they have clear & credible evidence that person poses a threat to others. What would you rather have, one person in a cell for a couple of hours, maybe days while investigations are carried out, or Manchester? It is no secret I am a Corbyn fan on the whole, but I firmly believe the “for the many, not the few” works in this respect too. I do not want to live in a Country that would turn away a familes with children desperate for help away from it’s borders out of fear, but nor do I want to live in a Country where one person’s right to not possibly be a little bit offended but live, to be bigger than the rights of everyone in this country to live, & live freely. As I began writing this I could hear my next door neighbour with her grandchildren cooking. together. There were 2 older gentlemen out on the street discussing their frustrations with the government, the local council, how they feel let down. I was sat in my kitchen having not left my bungalow in over 2 weeks due to the severity of my disability & illness. The only humans I see are my neighbours when they’re out & about if I’m sat at my back door. I picked up my phone to start writing again after my 2 neighbours, & one of the gentlemen who was out on the street all came together on my drive doing what we Brits do best – discussing the weather. I am just the right side of 40, my neighbour at one side is 79, he is such a lovely man, we have exchanged birthday cards for the since I moved in here a couple of years ago, I know if I ever needed him I can call on him & vice versa. My neighbours at the other side, the family whose grandchildren visit & bring the lovely sounds of innocent carefree children playing out in the street at weekends, who will often bring me food round because they know I can’t cook for myself anymore. I know I can always call on them too & again vice versa. The ordinary, decent grandparents who also happen to be Muslim. I am sure some will read this & say how convenient, start giving it that I am some lefty libtard loon who helped cause Manchester – sorry to get in there first. Believe what you will because I know every word is true. That is why I don’t agree with saying Brits aren’t carrying on as normally as possible to a large extent. 3 generations, 3 different belief systems Muslim, Christian, & Agnostic, 3 sets of ordinary Brits gathered together with no hate or fear of each other. Where is this place? Some leafy middle class suburb? An affluent area unaffected by austerity? No, it’s Doncaster, South Yorkshire, up North. One of the areas of Great Britain where the impact of what happened to the miners in the 80s is still heavily felt. The town which boasts extremely high levels of AIDs, teenage pregnancy, single parents, families on benefits, high levels of unemployment, drug use & addiction, homelessness. The typical tale of a normal British town or City. Coming back to this again after that, I was struck by some more ideas – let’s begin as small communities to unite more. Despite being surrounded by other people, we are often extremely alone & isolated in this day & age. Do what you can yourself in your neighbourhood, have a coffee morning – whatever happened to people having their neighbours in for a cuppa? I know you know the answer, fear, hate, & division has put a stop to a lot. Time for the big girl & boy pants people! Get over your fear as I said earlier, get on with each other. Sadly it is a fact people have to move area now, it’s very rare for families to live even within a 10-minute drive of each other, let alone a few streets away. Our younger generations are forced to move away in search of employment, so people end up without the support of loved ones, in that respect we are broken Britain. We have a tiny council hall on our street, only really the size of my kitchen & living room combined. When I first moved in here the hall was used on Thursday afternoons for a friendly game of bingo, cuppa & cake. It’s no longer happening because the heating in there has broken, the council don’t have the money to fix it, sadly many of the regulars who are able, now go elsewhere for a game of bingo so it’s not worth setting it up again. The building just sits there unused. I would love this street to be able to gather together, raise the money to sort out the heating & start having events in there. If I were able to mobilise enough I’d start it off myself! From grass roots community, solid neighbourhoods & friendships in spite of the government, in spite of any form of terror which wants to drive us apart, let’s all start pulling together. Let it be us the ordinary people be who fix things because leaving it to the government quite frankly is akin to going to war to achieve peace! I have seen many, including Katie Hopkins calling for action not words, saying it is time to rise up & sort this ourselves – so lets do just that! Thank crystal horseshoes that human has shut up! None of it makes any sense anyway, and no other human will get it, so what was the point?! It has wasted an afternoon which it could have spent entertaining me! Pffft! !